Distressed edges and an ultra-frayed rip above one knee further the weather-beaten look of cropped boyfriend jeans cut in a slim, relaxed silhouette. 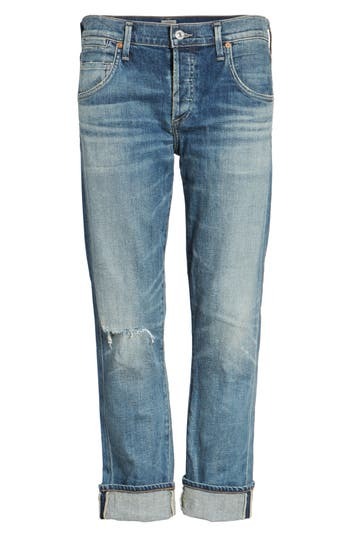 Style Name: Citizens Of Humanity 'Emerson' Ripped Slim Boyfriend Jeans (Roseland). Style Number: 5213813. Available in stores.